Our product range includes a wide range of single and double angle cutters. 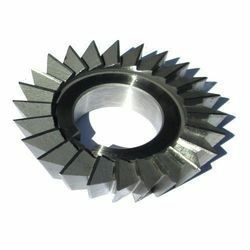 We provide durable and dimensionally accurate Single and Double Angle Cutters, which is manufactured using quality raw material. Keeping in perspective the variegated requirements of our clients, we offer single, equal and unequal angle cutters. These are made upto 250 mm diameter for milling dimensionally accurate cuts in different types of surfaces.